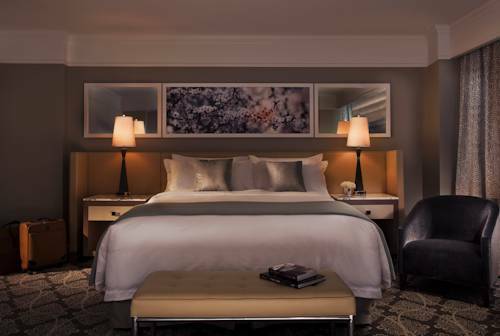 Perfectly situated in Midtown Manhattan with the benefits of a Park Avenue address- the reimagined Loews Regency Hotel combines contemporary design- form and function with 50 years of service and expertise. With 379 rooms including 58 suites- a Salon and Spa by Julien Farel and The Regency Bar and Grill by Sant Ambroeus- Loews Regency sets a new standard in luxury and thoughtful design with the travelers needs in mind. The result is a modern classic. The iconic Loews Regency Hotel has the convenience of a Midtown destination with the benefits of a chic residential Park Avenue address- making it a convenient location for business and leisure travelers alike. A Milanese style coffee bar that brings the special brand of Sant Ambroeus coffee culture to life within a jewel box atmosphere. With a separate entrance on 61st St.- the stand-alone- take-out concept offers signature pastries- sandwiches and coffee. Managed by the famed Sant Ambroeus Hospitality Group- together with Executive Chef Dan Silverman- oversee a menu with an emphasis on market-fresh ingredients and interpretations of classic dishes that combine local produce with international flavors. ~17 miles from New York. ~19 miles from New York. ~20 miles from New York.